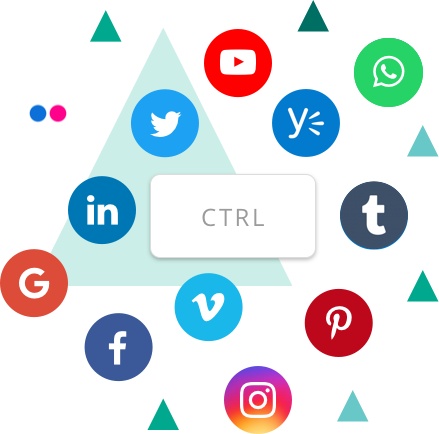 Jatheon CTRL is the optional SaaS-based social media, mobile and IM archiving add-on that’s integrated into cCore’s archiving software. We provide archiving capabilities for social media channels including Facebook, Twitter, LinkedIn, Instagram, Google+, YouTube, Vimeo, Tumblr, Pinterest, Flickr and more. Archive phone calls from most carriers around the world, as well as SMS, MMS and voicemail using both carrier deployment and Android or iOS apps. Support for both BYOD and enterprise-owned phones. Complete archiving support for WhatsApp for all iOS and Android devices and OS versions. 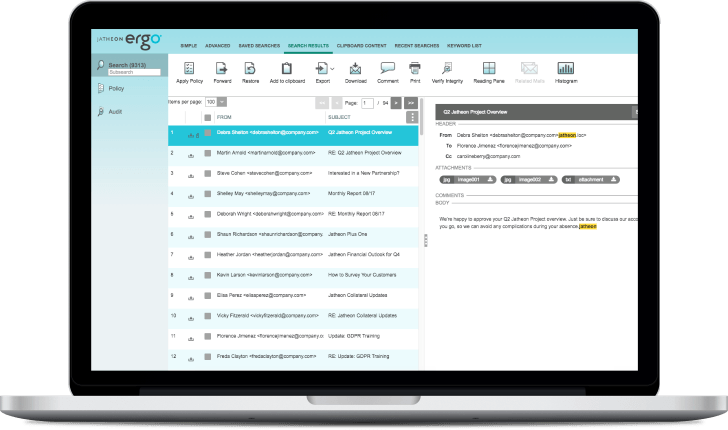 The modular design of our archiving solution allows you to monitor and archive your entire corporate communication using a single interface. Once enabled, Jatheon CTRL appears as an additional functionality in your cCore archiving software. A large number of search criteria: From, To, Message Content, Message Subject, Comment, Notification, Status/Tweet/Post, Attachment, Conversation and more. Smart options for added security and scalability of your archive. Our expansion storage units are an easy and cost-effective way to add more storage to your existing cCore setup without having to purchase a whole new archiving appliance. Ensure additional safety of your archived data by mirroring data captured by Jatheon cCore. A secondary disaster recovery appliance where data is replicated from the archive appliance for added security.